codeBeamer ALM is a holistically integrated Application Lifecycle Management platform. Develop better products faster with our ALM tool. Scale, monitor, control, and report on your entire development lifecycle conveniently. Comply with safety-critical regulations. Cut product development time and costs. codeBeamer ALM helps meet functional safety goals and achieve compliance while accelerating the delivery of high quality safety-critical products. Find out why more and more developers of medical devices, automotive and avionics embedded systems, and pharmaceutical projects choose codeBeamer ALM! Take a look at our free guides, e-books and case studies for valuable tips, best practices and industry insights. Manage requirements throughout the lifecycle. Ensure end-to-end traceability by interconnecting work items. Collaborate, stay on top of all changes, and comply with regulations. Streamline development, enforce custom workflows, manage risks, and ensure efficient collaboration throughout the lifecycle. Plan, visualize and manage releases using Gantt charts. Execute parametrized, requirements-based test cases manually or automatically. Ensure complete test coverage. Use advanced test analytics for reporting. Build real confidence in your product. Identify, analyze, plan and execute the mitigation or reduction of all the risks that might affect the success of your development projects. Monitor and report on risk management activities. Utilize customer feedback in the process of development using codeBeamer’s Service Desk feature to achieve higher product quality. Manage issues, escalations and SLAs efficiently. React to market changes & changing customer requirements faster. Manage demands from idea all the way to released product with gapless end-to-end traceability. Manage multiple product variants conveniently and efficiently. Avoid redundant work by re-using artifacts and processes. Achieve IEC 62304 & FDA compliance. Accelerate premarket approval. Develop high-quality medical devices using Intland’s Medical IEC 62304 & ISO 14971 Template. Ensure ISO 26262 compliance. Prevent recalls. 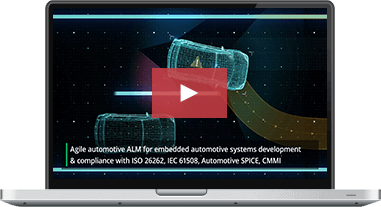 Manage and monitor risks using Intland’s Automotive ISO 26262 & ASPICE Template. Develop quality airborne equipment in compliance with DO-178C and DO-254. Ensure the safety and reliability of your avionics products using Intland’s Avionics DO-178C & DO-254 Template.